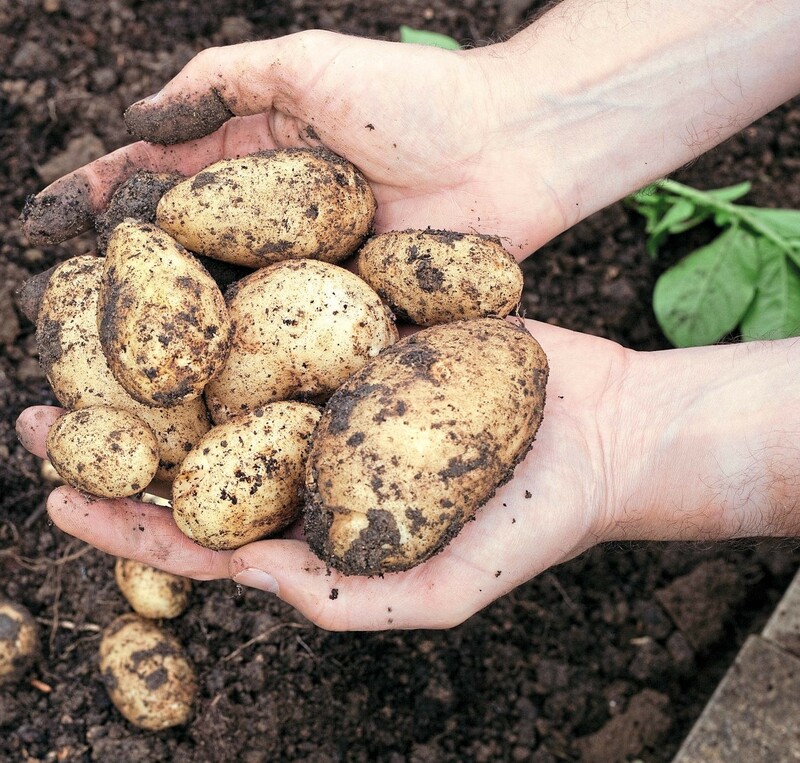 You don’t need an allotment or large veg patch in which to grow potatoes – you can produce a delicious tasting in no more than a large pot or old compost bag. It is important to buy fresh new tubers each year from a reliable source since these should be virus free. 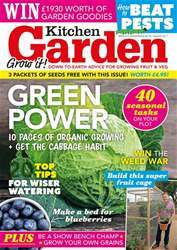 They can be found in all the larger seed catalogues, from specialists, online or via one of the many potato days which are held around the country. 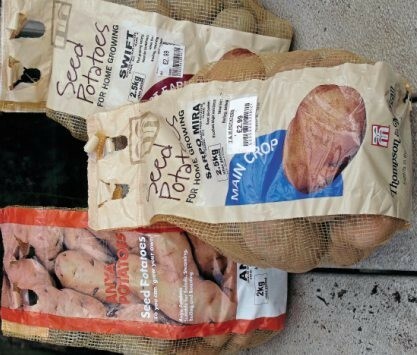 Having obtained your seed potatoes you must store them until they are ready to plant.This is done by placing them with their eyes (buds) uppermost in a cell of a module tray, an egg carton or in a seed tray. Next begins the process of chitting your potatoes. HOT STUFF! But sweet too!